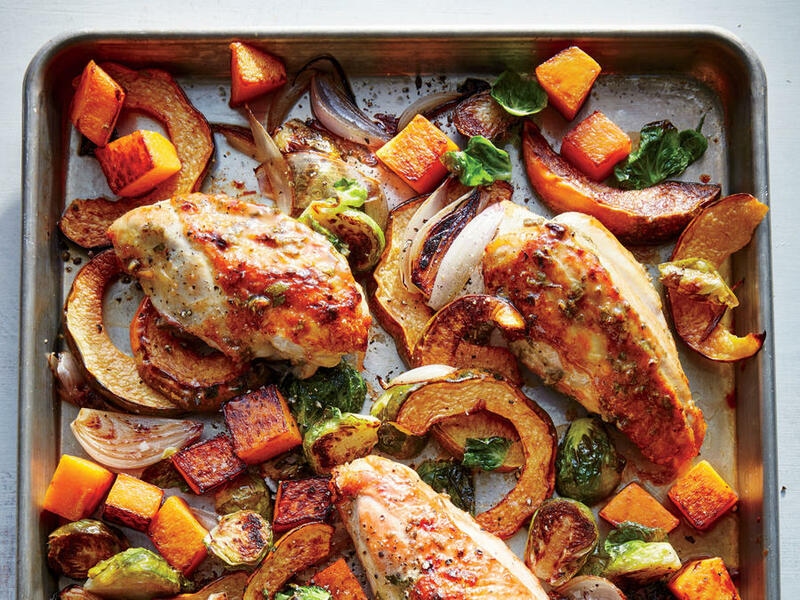 This maple mustard roasted chicken with Brussels sprouts and squash looks like a healthy yet hearty dinner in the cold weather. 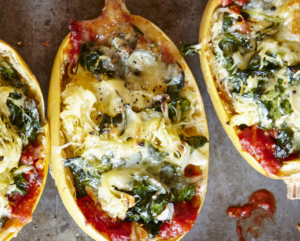 They called out for butternut and acorn squash. I have butternut in the house so I may just use only that. What I also love is that it uses only one pan so cleanup is a lot easier. The recipe calls for bone-in and skin-on chicken breasts. You do get more flavor that way. But you could get away with boneless and skinless. Just manage the time. Boneless meat cooks faster. I would also put in garlic bulbs to roast. I love shallots, don’t get me wrong. But roasted garlic is its own form of heaven. The other nice thing about this meal is it’s complete. You don’t need to create any other sides. If you used boneless, you could slice the meat and arrange the vegetables in a bowl with the chicken over the top. I’m always looking for ways to make dinner easier to serve since we’re eating on the couch in front of the television more now. That’s supposed to be a no-no. But the way I work around it is that I’m mindful with each bite I take. Plus, I put my serving in a bowl or plate, and then I’m done. I don’t go back for seconds. I use Pyrex lasagna pans when I roast meat and vegetables together. Sometimes it’s difficult to get the pan clean without a lot of scrubbing. Spraying the pan with cooking spray can help. You can also cover the pan with foil. Another option is to put some liquid into the pan after you remove the meat and vegetables. If possible, you could put the pan over a burner and cook a pan sauce. If you don’t want that, just use hot water with some dish soap. Then take a brush and loosen any stuck stuff. It really makes cleaning up a lot easier.